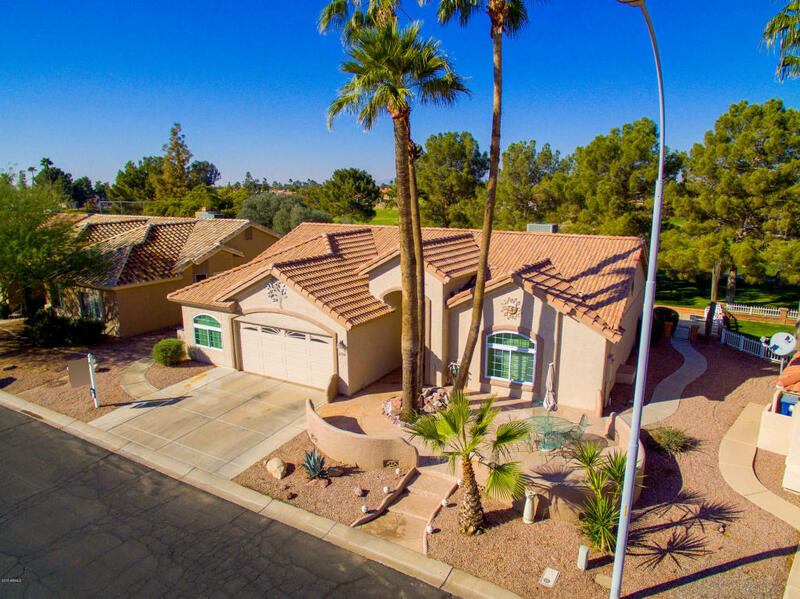 3 Bed, 2 Bath, Golf Course Lot in SunBird Golf Resort, Chandler. Premium Location! A Beautiful Sedona with Huge Patio that backs up to 1st Tee, within Steps of the Swimming Pool, Club House and all Amenities. Updates Include: Roof, New 30 Ton A/C, Vinyl LowE Windows, Wooden Shutters, Quartz Counters, Stainless Steel Sink, Faucet, Lighting Fixtures, Reverse Osmosis, Water Softener, Insulated Garage Door, Interior Paint, Flooring. Amenities: Executive Golf Course, Driving Range, 43,000 sqft Clubhouse, 7,600 sqft Ballroom, Restaurant and Bar, Heated Pool and Spa, Health Club, Billiards Room, Tennis, Pickleball, and Bocce Ball Courts, Post Office, Library, Lapidary Room, Ceramic Room, Craft Room, Bike/Walking Paths, Fishing Lakes and Horseshoes.